Environmental, social, and governance (ESG) communications are no longer optional. In fact, nearly half of portfolio managers who responded to our recent survey are integrating ESG factors in their investment decisions. Those factors are becoming increasingly important both as a means of mitigating risk as well as meeting client demands. While some believe the relevance of ESG “still feels like it’s in the early innings,” it’s critical for companies to get in the game right now. If you don’t take a proactive approach to telling your ESG story, rating agencies will take the liberty of doing it for you. And it’s likely that their version of the story will not be fully in line with the narrative you want to portray. 1. Add ESG content to your website. One of the easiest ways to communicate your ESG story is to add it to your website and make the information easy to find. Create a separate tab for this information, ideally in the investor relations section of your site, and label it clearly. Asset managers and rating agencies will often look here first to get a sense of your company’s point of view on ESG issues. You’ll earn points simply by openly and actively talking about the topics that are material to your business. You’ll want to include a mission statement that sums up your organization’s commitment to ESG in general, and incorporate quotes from your CEO and Lead Director that address the significance of the topic and your goals. Include details on the specific ESG topics (carbon footprint, employee culture, cybersecurity, etc.) that are most relevant in your industry and that are most important to your investor base. Be sure to describe your existing strengths in each of these areas while being transparent about any weaknesses and what, specifically, your firm is doing to address them. Note how and when progress will be reported to the Board and to your investors, and make sure to regularly update the web content to highlight any gains you’ve made. 2. Determine your most vulnerable areas, and talk about them on quarterly or annual calls. Cybersecurity and employee culture are two of the biggest areas of controversy in the ESG arena, and investors are eager to hear how you are addressing them. There may be other ESG areas specific to your industry or individual business that can have an impact on your financial performance. It’s important to know what your investor audience cares most about, and then get ahead of these issues. Don’t wait for investors to ask you. Instead, plan out your talking points and prepare a script so you can clearly articulate your position and any steps you are taking in these areas to address investors’ key concerns. 3. Merge your annual report and sustainability report to increase overall readership. Our survey results show that annual reports remain the top source for ESG information, followed by direct questions in meetings and sustainability reports. While many companies’ annual reports have been reduced to a 10-K wrap, the letter to shareholders remains the most read section. By making a nod to your ESG narrative in the letter and merging sustainability metrics in this publication, you can improve overall engagement with the piece, and give investors one source of annual go-to information. Make sure this combined report is downloadable and available on your website. 4. Prep your management team for ESG trigger questions. Investors are asking more about ESG topics. For example, Neuberger Berman has begun tracking how often its investment managers talk about ESG in meetings with issuers. As a firm representative recently told a NIRI audience, ESG topics came up almost 40% of the time – specifically, in 591 of the firm’s 1,500 meetings last year. Clearly, your management team needs to be ready to speak confidently on your company’s stance on ESG issues. At a minimum, all leaders should be intimately familiar with the ESG information that’s public on your site. They should also be privy to any plans that are in the works to improve or address ESG vulnerabilities. In other words, ESG knowledge is not just reserved for a special taskforce within your organization. The entire leadership team needs to be onboard and in tune with the company’s position. 5. Pay attention to the rating agencies. Responding to inquiries from rating agencies like MSCI and Sustainalytics may feel like a tedious task. But companies can no longer afford to ignore them. It is best to provide as much detail as possible. Then stay on top of your ratings and how the companies are portraying you—you can get access to your reports directly from the agency. If you work with a financial communications firm or service provider that purchases the rating agencies’ data, you can get copies of your peers’ reports as well to see how you compare. Be aware that it takes considerable time and effort to correct any misstatements these agencies may make about your organization. Your service provider may be able to help with the correction process, especially if the provider has an existing relationship with the rating agencies. However, it’s much easier to ensure the agencies get your story right in the first place by being responsive and including detailed information on your website and in your annual/sustainability report. ESG integration by investors is becoming more mainstream. But at Clermont Partners, we’ve been helping our clients stay ahead of this trend for years. Our ESG Elevate Program provides a range of activities to leverage this communications opportunity. If you’d like to explore how to create a tailored ESG response strategy specifically for your situation, we will gladly share our expertise. Contact us today to learn more. Elizabeth Saunders is a Partner of Clermont, based in Chicago and New York. Ms. Saunders specializes in building best practices strategic communications programs across a wide spectrum of clients. 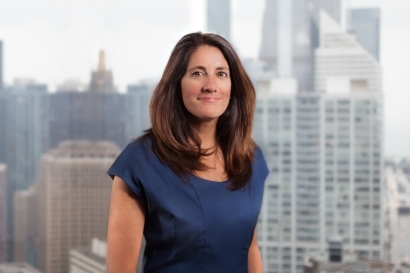 She has served as senior counsel for business transformation assignments and has actively worked on initial public offerings, pre- and post-merger communications, CEO transitions, and restructurings for Fortune 500 Companies including the Coca-Cola, The Dow Chemical Company and Transocean.